What happens when you put two brands that are built upon a tough-as-nails attitude, head-to-head? Dodge vs. Ford, the ultimate automotive showdown. Both brands produce a variety of outstanding vehicles, but can Ford really stack up to Dodge in the SUV segment? When drivers want a vehicle with utility, something with a muscle-car level of confidence and elite craftsmanship, it’s easy to turn to the Dodge Durango. However, Ford does provide some competition with the sheer volume of SUVs they produce—with names like the Expedition, Edge, and Flex. Here at Southtown Chrysler, we’ve done the research to see what mid-sized SUV reigns supreme, Dodge’s 7-seater Durango or Ford’s 7-seater Explorer. Which tough-as-nails driving machine will come out on top? Want to stand out on the road with an aggressive, unique design? The Dodge Durango has utilized the same successful formula on its third generation model since 2011—an extremely impressive run. Dodge has made a few key changes in that time to keep the Durango modern, most notably in 2014 when the Durango was given a sporty facelift. The Durango of today maintains that same rugged muscle-car-like persona, with its signature floating split-crosshair grille being absolutely unforgettable, and rounding the Durango out as an SUV unlike any on the road. When you look at the Ford Explorer, there’s an air of familiarity about its design. The Explorer borrows directly from Land Rover for its exterior design. While it does lend the Explorer some pizazz, there’s an extreme lack of individuality. Step inside the Durango and be greeted by a driver’s seat unlike any other. A standard 12-way adjustable power seat moves to fit every crevice of your body like a glove. And available Nappa leather-faced seats on higher trim levels add comfort in any season with both heated and cooled functions. Connect to Apple Carplay™ and Android Auto™ with a standard Uconnect multimedia system, with standard 7.0-inch and available 8.4-inch touchscreen. Don’t forget about the rest of your passengers, as the available seating for 7 can be arranged to create over 50 seating configurations, thanks to a standard 60/40-split fold-flat 2nd-row and a 50/50 split 3rd row. 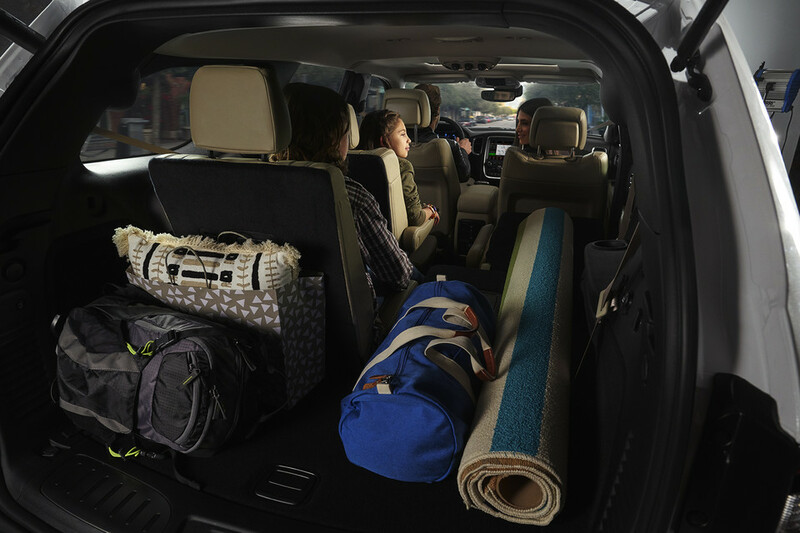 Though we like the Durango’s Nappa leather better, the Explorer isn’t significantly behind the Durango when it comes to space and utility. Under the hood, both vehicles have a trio of engines at their disposal. For the Explorer, a 2.3L Ecoboost® engine comes standard, delivering 280 horses and 310 lb.-ft. of torque. 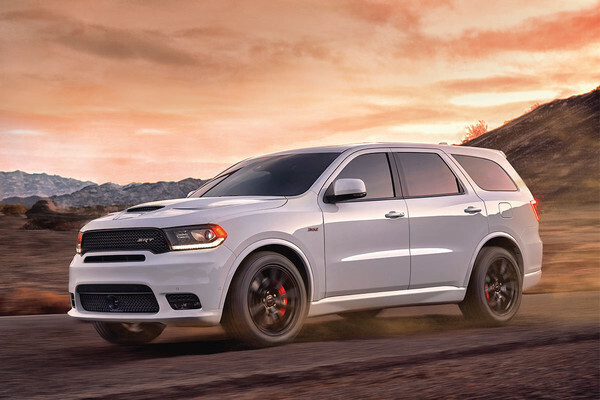 The Durango gets a 3.6L Pentastar™ VVT V6, good for 295 horsepower and 260 lb.-ft. of torque. 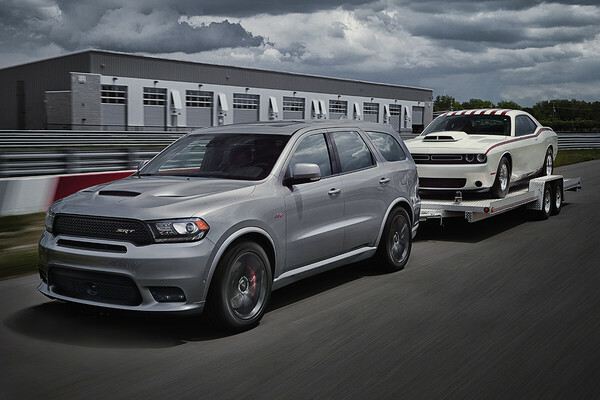 Fairly comparable engines, but when you compare the optional engines of the Durango—a 5.7L HEMI™ VVT V8 (360 horses 390 lb.-ft. of torque) and 6.4L V8 SRT HEMI™ (475 horses 470 lb.-ft. of torque)–it’s clear that the Durango has the superior engine selection. And those looking to make the case that the Ecoboost® must be more efficient, that’s simply not true as the Durango picks up a fuel efficiency rating of 12.7/9.6/11.3 (hwy/city/combined) in its standard 3.6L V6 vs. 13.1/9.2/11.4 (hwy/city/combined) with the 2.3L Ecoboost®. While the Explorer may seem like tough competition as its exterior mimics the Land Rover, don’t be fooled for a second. With a sharper design, more interior flexibility and, of course, more raw power, the Dodge Durango easily eclipses the Ford Explorer as the superior mid-sized SUV. This absolute unit can be found at Edmonton’s leading Dodge, Ram, Chrysler, and Jeep dealership—Southtown Chrysler! If you’d like to learn more about the capability of the Dodge Durango get in touch with us. Our professionals are happy to educate on the Durango, as well as any of the other amazing models we carry. If you’re looking to get service from the best—our trained technicians are able to work on all makes and models.